There are essentially two main categories of alternative medicine: naturopathic medicine and Chinese medicine. Under each of these branches, there are a few paths students can take, as well as specific schooling and certifications required to become a practitioner. However, what they have in common is that both provide healthcare that serves as an alternative to allopathic or conventional western healthcare. Naturopathic and Chinese medicine practitioners attempt to cure people of various ailments in a way that heavily involves lifestyle changes and prefers natural medicines to pharmaceutical drugs. If you are interested in this type of healthcare, accredited natural or Chinese schools and universities continue to pop-up, making these careers and practices more accessible. This article will explain what exactly these schools teach, and what career options are available for students who go through these programs. Note: Before deciding on a school, make sure it is accredited by a trusted organization, so that you can become a legal, licensed practitioner. The Council on Naturopathic Medical Education lists seven accredited naturopathic programs in North America, while the Accreditation Commission for Acupuncture and Oriental Medicine lists 61 accredited and pre-accredited programs for Chinese medicine in the U.S.
As the name suggests, Chinese medicine is a several thousand-year-old-practice that originated in China, and has continuously evolved. To understand Chinese medicine education in the U.S., we talked to Dr. Cherri Spencer, Academic Dean of Students at the Colorado School of Traditional Chinese Medicine. What degrees can you earn? Spencer explained that students at most Chinese medicine schools study a combination of acupuncture and herbology, earning a Master of Science in Traditional Chinese Medicine or a Master of Science in Oriental Medicine. However, there are also separate programs if a student wants to solely study acupuncture or herbology. In this case, the student could earn a Master of Science in Acupuncture or a Master of Science in Herbology. How long does a degree program take? *There are also doctoral programs available, but this is the minimum required education for these professions. Just as it is in other colleges and universities, these timelines are generally how long the degree takes. Chinese medicine schools typically offer a fair amount of flexibility through accelerated programs with heavier course loads. As for prerequisites for these programs, an undergraduate degree is required prior to enrolling in a master’s program. However, Chinese medicine schools typically do not require specific pre-med undergraduate degrees. Unlike western medical schools that offer degree programs for various aspects of the healthcare system, all Chinese medicine degrees are directly related to patient care. Spencer explained that some of the first classes students at the Colorado School of Traditional Chinese Medicine take include courses on the theory and foundations of Chinese medicine, meridian and point theory, where they learn the zones and points on the body and what they do, and meridian and point location, where they learn and locate the 460 different points on the body. Students also take medicine-related science courses, including anatomy, physiology, biology, chemistry, biochemistry, microbiology, and infectious disease. In addition to these courses, students also have clinical experience requirements. “Their clinical experiences are really important. As [students] move into clinics, they start doing case studies. So, once they’re doing clinic observations and clinic internships, they also do clinic forums where two cases are presented to them with the patients and the doctors and they ask questions. They have to do reports on how they would treat this case and discuss it beyond just the work that they’re doing in the clinic,” said Spencer. Spencer said there are also opportunities to learn how to run a business for students who want to open their own clinics. The school offers a business management course, as well as hosts business-related seminars from guest speakers. Finally, students learn some western medical terminology so they can relate these to the Chinese terms, as well as referrals when a case needs treatment beyond Chinese medicine. “This is where now, if you’re appendix needs to come out, when you decide this is the problem, this is when you know they need to be referred to a western doctor. It’s important to know where oriental medicine ends and western medicine begins,” said Spencer. Many people who study traditional Chinese medicine want to open clinics. However, there are other options for practitioners. Michael Dabrowski is a practitioner who runs his own clinic, but describes the other avenues he has seen his peers take. “It’s becoming much more common that acupuncturists will join an existing practice, so you may find an acupuncturist at a chiropractor’s office or a physical therapist’s, and sometimes you’ll find them in the hospital setting where a lot of these other aspects of the job are taken care of,” said Dabrowski. P.S. We interviewed Michael Dabrowski for our podcast series, “You Have a Cool Job”. Listen to his episode here. Overall, working as a practitioner involves working in some sort of clinic, but you can get creative and work in collaboration with western healthcare or other types of practitioners to deliver various options to patients. While there are fewer accredited natural health colleges and universities in North America, these students that go on to become practitioners are widely recognized as qualified primary care physicians. Currently, 20 states license naturopathic physicians and allow patients to use naturopathic doctors as their primary care physician. We talked to Glenn Smith Ed.D., Provost of Education at the National University of Natural Medicine, which was the first accredited naturopathic program in North America. Smith explained the education students at NUNM receive, as well as what they go on to do after graduating. To become a naturopath, you must obtain a doctoral degree in naturopathic medicine. In addition to this, students can obtain a master’s degree in related fields such as nutrition, ayurveda, integrative mental health, global health, or integrative medicine research. “A lot of our students are quite brilliant and besides their medical programs they usually do a secondary degree,” said Smith, who said a common secondary degree students will obtain is in medical research as they may do this later in their career. Before you can begin a doctoral program, you must complete your undergraduate degree along with required pre-medical classes. These prerequisite courses are similar to prerequisites for allopathic medical schools, with a few variances. For example, the National University of Natural Medicine requires that doctoral students have completed the following undergraduate courses: general biology, general chemistry, general physics, mathematics, english composition, psychology, social sciences, and humanities. Smith explained that the first year of the program is similar to other medical programs in that students focus on the hard sciences, taking courses like anatomy and physiology, and working with cadavers. First year students also begin clinic observational rotations. “They’re doing the same things that you might do at medical school somewhere else at an allopathic medical school because they still need to learn all that in order to treat a patient, regardless of the philosophical approach after that. After this first year, students start to go into the more specialized areas of naturopathic medicine as they learn different modalities of treatment. Students are now working more hands-on in a clinic, performing tasks such as checking vital signs. In their final two years of their degree, students work in clinics as a primary, which means they’re now directly involved with the care of a patient under the supervision of an ND. 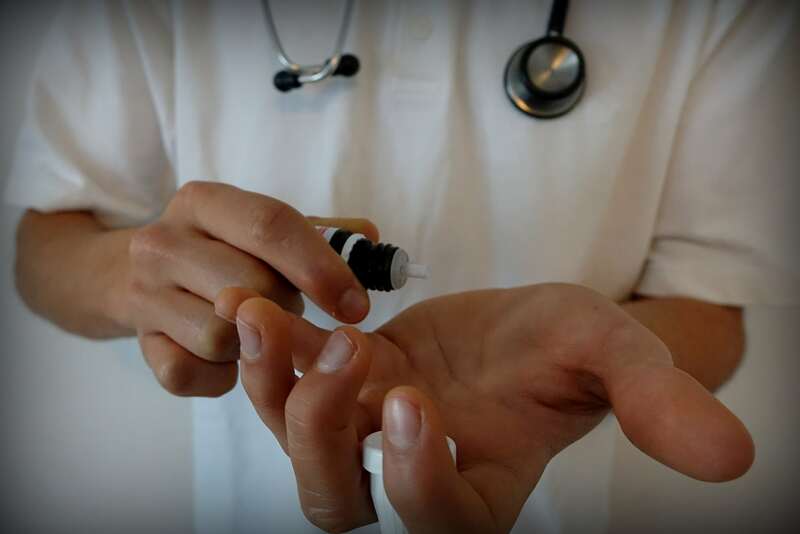 Naturopathic students also learn to perform minor surgery and learn pharmacology, as they can prescribe antibiotics when necessary, but usually try other natural remedies before offering antibiotics. Smith used the example of a patient with a sinus infection who is offered antibiotics from a naturopath. “They may help you get well from that sinus infection but they’re going to teach you from an education standpoint how to live a better lifestyle so you don’t become infected later on,” said Smith. While Smith said that naturopaths are sometimes criticized for not being fully-qualified doctors, he explained that a naturopath is not intended to perform all procedures an allopathic doctor or a surgeon would, and will refer a patient if a need is out of their scope. “A naturopathic doctor, they stay within their lane. They have a scope of practice and that’s what they do, so they are not doing brain surgery, but they do have residencies in oncology, in cardiology, in a number of different specialities that you would associate with allopathic medicine,” said Smith. “Post-graduates oftentimes they will do a residency, they’re doing much more in terms of that pre-incident and post-incident care,” said Smith. Smith gave the example of a cancer patient undergoing chemotherapy. “They’re quite sick and the naturopath is able to balance, through use of supplements and diet, is able to make that person considerably less sick,” said Smith. Of course, most students who are in naturopathic medicine programs are studying to become a practitioner of naturopathic medicine. But, there are other avenues many naturopaths take, and there are different options for practicing naturopathy either independently or alongside an allopathic doctor. The alternative healthcare field is growing both in practitioners, as well as in terms of frequency that this is integrated with conventional western healthcare. According to a report by Grand View Research, Inc., the complementary and alternative medicine market is projected to generate $196.87 billion in revenue by 2025. If you’re looking to start a career in alternative medicine, the education needed is fairly straightforward, so find a school that you feel is a good fit, and get going on your alt med degree!